Yes, acupuncture’s greatest strength is in the problems that are neurological in origin. If you’ve got a migraine, then you’ll probably want to just go home and sleep it off. But, if you feel it coming on, and you can get in for a treatment, the acupuncture can prevent the headache from getting worse. The best idea is to get a regular weekly, or biweekly treatments so that the underlying condition that is giving rise to your migraines can be treated. That way you’ll avoid the headaches completely. And even for people with real migraines, the cause can be different. It could be stress, it could be associated with the menstrual cycle, it could be due to the way in which you hold a telephone between your head and shoulder. The cause really does need to be determined before an effective treatment can be found. If one is experiencing head discomfort, one assumes that this is headache or migraine. What is the real definition of migraine? It is a kind of headache that is more severe as compared to tension and other types of headaches. One may experience intense and throbbing pain in the front and top part of the head. This discomfort m`ay lead to flickering vision, nausea, and vomiting. According to the World Health Organization, migraine is ranked 19th among all diseases worldwide that may cause disability. In reality, there are a lot of people suffer from this condition. Ironically, there are simple ways to prevent them. Relaxing with warm bath may cool down and decrease the pain. Aside from this, there are prescription medicines that are out in the market that promises soothing relief against headache and migraine. Traditional Chinese Medicines made also into the list curing this one sided headache. Theoretically speaking, the Chinese medicines involve the liver, the gallbladder, the insufficient flow of the Yin-Yang, and blood circulation. In a certain study, one should differentiate the key patterns of migraine. This will enable for the Chinese medicine attendant to give the correct prescribed concoction. Chinese medicines such as Dang Gui (Radix Angelicae Sinensis), Ge Gen (Radix Puerariae), Bai Shao are used to treat migraines. This kind of preparation can be used when the migraine and headache symptoms occur. Most of these can be consumed everyday with warm water. 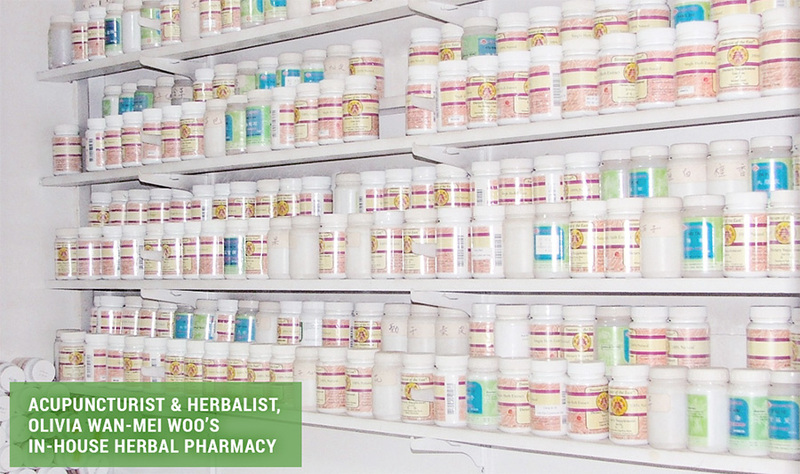 Our office has a complete in-house pharmacy with over 500 natural Chinese Herbs to help you!